This is the Fall Kick Off Meeting for NAPO-WDC. We invite all organizers in the area to be our guests -- there is no fee for this meeting! We also invite all partners of organizers to be our guests. We anticipate a large group, so it will be great for networking. Refreshments, door prizes, and a cash bar will be available! Please register on the website so that we can have an accurate count of attendees. 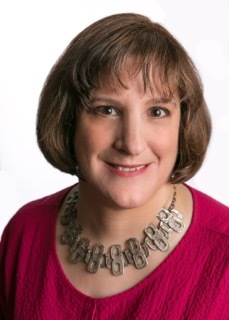 Abigail Wurf, M.Ed, PCC is a coach, author and speaker based in Washington DC. As a coach she is focused on performance and productivity for entrepreneurs and professionals affected by ADHD. Abigail also helps college and graduate students to complete their degrees in a timely fashion. A Professional Certified Coach through the International Coach Federation, she was diagnosed with ADHD in 1999. She began coaching 2007 and specializing in ADHD coaching since 2010. This talk will describe the basics of ADHD and the implications of this in terms of helping those affected by ADHD to get organized. Discussed will be such issues as to how ADHD affects people lives in terms of executive function skills such as organizing, planning, prioritizing, time management, task initiation, flexibility/shift, goal setting, working memory, meta-cognition, emotional regulation, self inhibition and focus. We will consider the implications of these issues for people striving to get organized. Best practices and helpful resources will be presented as well.